late, which is a huge bummer coming from Kholat. through, and doesn’t offer much in terms of excitement or enjoyment. Engine 4 and the amazing environmental work that was done on the game. 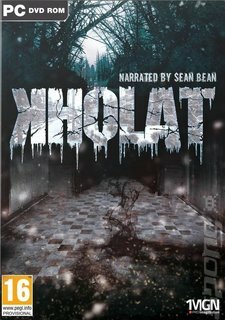 about all that Kholat really offers in term of a horror experience. annoying to deal with. They work pretty similar to how Slenderman works. considering how good Kholat could of been. feel terrified. Not annoyed, and angry at poorly designed mechanics. expanding, but is still extremely convoluted with no real direction. to be there, and maybe even he too was confused by the entire ordeal. non-enjoyable experience like this for that kind of a price-point. it really just falls flat on delivery. Awesome setting, and based off of a spooky real-life event with the Dyatlov Pass Incident. Gorgeous visuals, and at times can feel really uneasy while traversing through the snow-ridden, blizzard like environments. Sean Bean’s narration feels a tad phoned in. The story is extremely convoluted, and the game doesn’t really have any sense of direction. you’ll randomly get killed by the environment with no warning. adventure narrative sort of experience in the veins of Dear Esther. events and sort of just falls flat. I'd also like to point out that I just finished the game in under 5 hours. $20 for something that short and boring ain't worth it.